Full name, date of birth: Anbiev Yernur Zheksenbyuly, March 20, 1980. Work experience: the general experience is 14 years, the scientific and pedagogical experience is 14 years. Position: Senior Lecturer of the Department “Transport Engineering and Logistics Systems”. 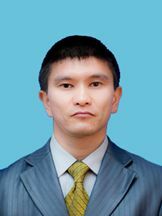 What university, for what specialty and when he graduated from: Karaganda State Technical University, “Traffic Management” in 2002. Academic degree, academic title, academic degree: master of specialty 08.04.01 – Construction, 2017, TIU, Tyumen. 2017 to the present – Senior Lecturer of the Department “Transport Engineering and Logistics Systems”. Certification and licensing in transport, Applied Law, Traffic Management. Published 24 scientific papers, of which 21 thesis report, 2 articles – RISC; released 3 tutorials. Items read in the school year: Certification and licensing for transport, Applied Law, Traffic Management, Customs, Insurance and Evaluation, Information Support for AT, Power Plants TT.